It often amazes me just how many fitness games come with complicated rules and require so much equipment. 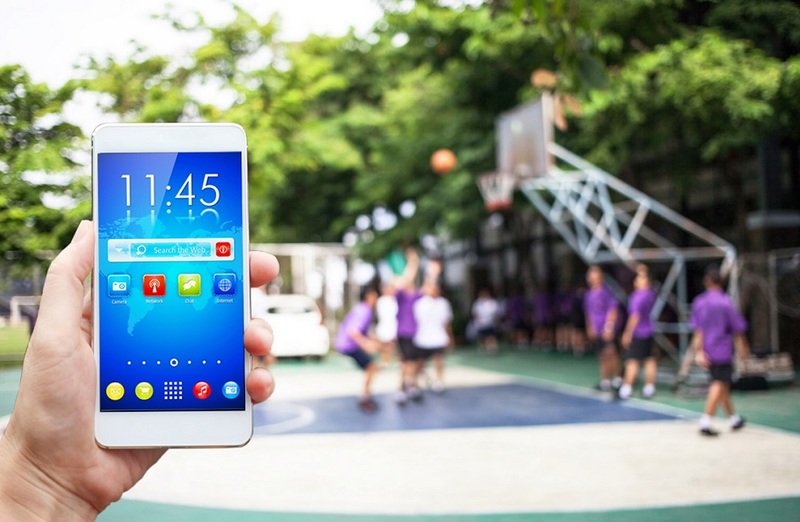 Not every physical educator, day care center, summer camp, recreational program, or family has the space or means by which to acquire large amounts of equipment. 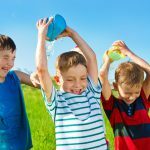 So how do you keep children active? You get creative! 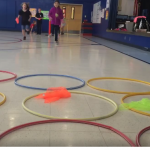 As a physical education teacher who has no gym and no inside space for my class, I have come up with some games that meet learning outcomes while keeping students engaged and active. The ones I find work best are the good old-fashioned games that I played as a child, and even my parents before me. Timeless games with a spark of creativity yield the best results in my experience. I am sharing a few ideas with you in the hopes that they spark a creative storm of pure genius in you. The concept of playing hangman is simple. You have one person pick a word and draw out the number of spaces that equal the number of letters in that word. If the word is “fast,” then there would be four spaces like this: ­­_ _ _ _. Children then take turns trying to guess a letter in the word. If they guess the letter right, it goes where it belongs in the appropriate space. If it is not right, the letter is written on a space on the board or paper you are using to play, and then a body part is drawn on the writing surface. Personally, I like to make it detailed. First, I draw a head, an eye for the next wrong guess, and so on so that students have more guesses. I turn this into a fitness activity by having a set of exercise cards or exercises written on note cards nearby. After each guess, the guesser picks up an exercise card and everyone in the group has to do that exercise. Have one student write down the missed letters. Have another student fill in the spaces when a right letter is guessed. Let one student hold the exercise card and another draw the hangman. This way, everyone is involved, moving, and having fun. Use a giant Tic-Tac-Toe game that can be played on the floor with beanbags! Kids are already standing up, so you can easily add some fitness exercises to make it an active game. Be sure to tape either the 4 corners or the full length of the 2 ends to the floor to prevent it from sliding. Divide players into 2 teams (1 or 2 players per team will work best). Determine from how far away players will throw the beanbags at the target and mark a line at that distance. I recommend 6 feet as a good distance to try first. You can move the line forward or back depending on the skill of the players. Players stand with both feet behind the throw line and toss the beanbags at the target. Teams alternate tossing their beanbags at the target. The first team to land 3 of the same colored beanbags in a row in the target wins. Come up with a set of rules/challenges where players must do exercises of your choice. For example, if a player throws the beanbag outside of the target, they must do 5 jumping jacks. If the game is tied at the end, both teams must do 10 toe touches. If X’s win, the opposing team must do the exercise of their choice. Then they do a re-match. And same if O wins, they get to choose the exercise for the other team. 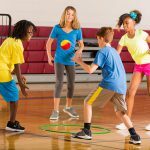 You can switch up the exercises and get creative by challenging the teams to a time-crunch game, or play music and when it stops they each have to do as many squats as there are beanbags on the board at that time. They are so many fun options! You can choose to play Number Bingo, Alphabet Bingo, or Move Bingo and add fitness to each one! Each child will have their own bingo cards and you will call out the number, letter, or activity. The first one to get Bingo gets to choose the exercise they all do as a group! 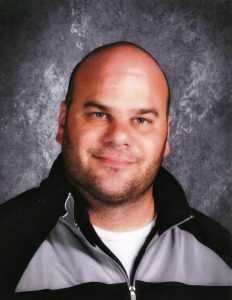 I3 – do 3 “I choose” exercises – the kids get to choose! For this game, you will create cards with 9 letters, 3 in each row (or however many you’d like). Make sure each board only has one of each letter. When you call out a letter, the kids must do an excercise that starts with that letter. You can have them choose, or assign each letter with an exercise if you’d prefer. You can also choose how many times they do the exercise. This not only gets them active, but also thinking about what types of exercises start with each letter, and what their favorites are. Kids will mark their cards with until someone gets Bingo! This game provides a visual of each fitness activity. 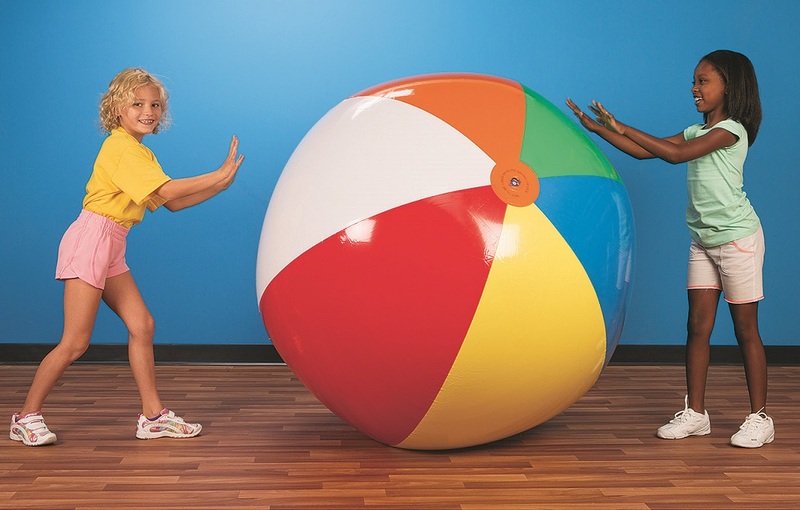 It was created specifically for getting kids moving in a fun and creative way. Each card features simple movements and stretches for young kids. When you read the movement on the clue card, the kids will act it out, and then if they have that activity on their card they will cover the square. Play until someone gets Bingo. The classic game of Twister always gets everyone moving, stretching, and having fun. Now you can add even more movement to the game with some fitness activities based on the colors in the game. If a player falls when a certain color is called, they must do a specific fitness activity. For example, if they fall on “Left Foot, Red” they must leave the mat, and do 10 left foot lunges. If they fall on “Right Hand, Green” they must do 10 right hand arm circles. This continues until there are no players left on the mat. This is a simple yet fun way to include fitness with Twister! I love this game because it is portable and simple. You can choose to purchase Jenga, or make it yourself. Jenga is a simple and fun game where a number of small blocks are used to build a large tower. There are 3 blocks in a row, and the tower goes roughly 15 to 20 rows high. The player attempts to remove one block from the tower without letting it fall. They then place that block on top of the tower. They keep doing so until someone pulls out a block and the tower falls. I turn this simple game into an active one by writing different exercises on the blocks. I line the students up in a row so they each get a turn to pull a block. Whatever exercise is on the block, the entire group has to do it a set number of times. We play until the tower falls, and then we set it up and go again. The students enjoy the challenge and get exercise at the same time. The beauty of this is that you can change what you write on the blocks to fit what you want the children to do or learn. If you are teaching locomotor movements, you can place different ones on the block, for example. The possibilities are as endless as your imagination. 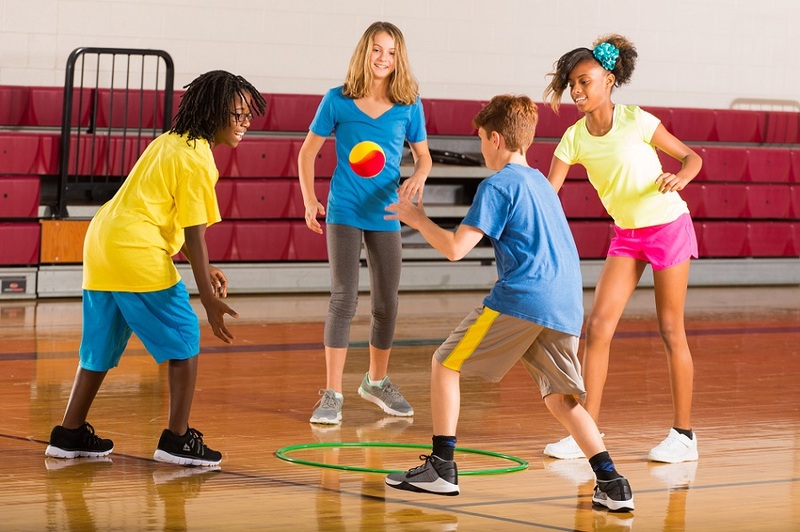 This entry was posted in Active Play, PE Activities & Games, PE Central, Summer Camp and tagged bingo, Charles Silberman, exercise, fitness, fitness games, Games, hangman, jenga, kids activities, physed, Physical Education, summer camp, summer games, tic tac toe, twister by Guest Blogger. Bookmark the permalink. little enough to full cover up plus it should be sturdy. these games remind me of my childhood, especially “twister”, this game brings the agility out of the soul.These physical activities are really amazing.